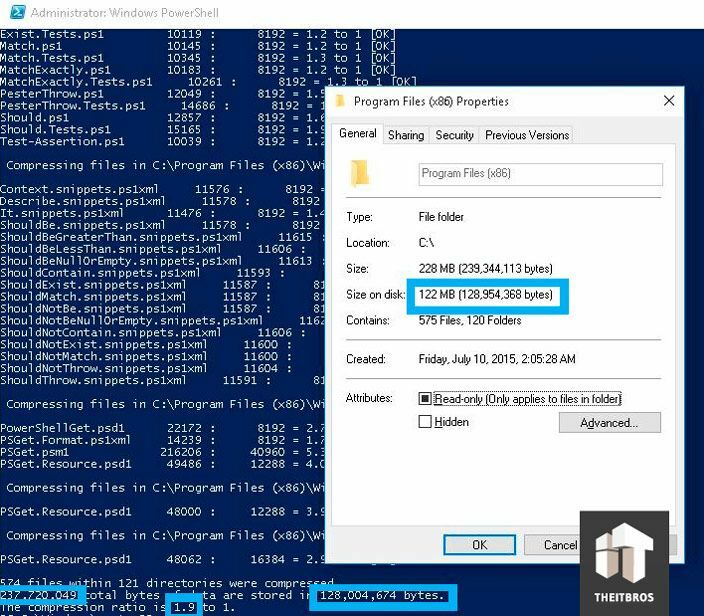 Many of you may know that NTFS file system used by Windows 10 already has a built-in NTFS compression feature. But in Windows 10 Microsoft has added couple of new compression algorithms. 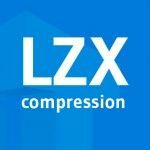 In this article we are going to tell you about LZX compression, the strongest of these algorithms. Compared with the already familiar to us NTFS compression, LZX algorithm has a much higher compression ratio (it’s about 40-60%). Compression by using the LZX algorithm in Windows 10 is performing manually. To do it, we need to use Compact OS feature. Manipulations with compressed files are fully transparent for the user. Note. Files compressed with LZX algorithm cannot be opened in the previous Windows versions. It is ideal to use LZX compression for static files with only read/run access. There are games, distribution software or number of system directories. For example, you can compress the folder with Far Cry 4 game. It will reduce its size from 27 to 17 GB. The same situation with Counter-Strike: Global Offensive: 10 vs. 7.5 GB. Note. There is no reason to compress multimedia files (photos, video, music), because they are already compressed. 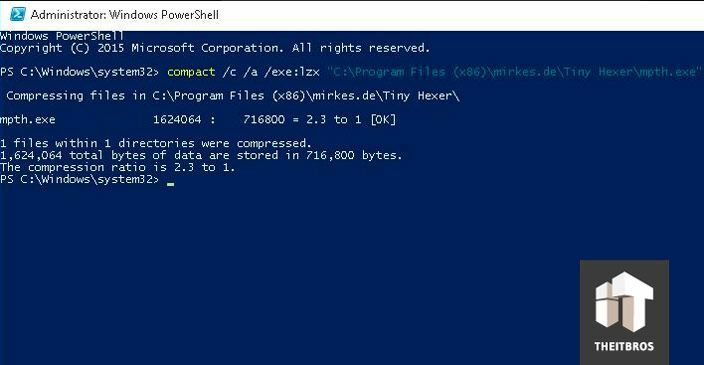 compact /c /a /exe:lzx "C:\Program Files (x86)\mirkes.de\Tiny Hexer\mpth.exe"
In our case, the size before compression was 1.54 MB and 0.7 MB after it. compact /c /s /a /i /exe:lzx "C:\Program Files (x86)\*"
The size of this directory has been decreased almost twice. compact /u /a /exe “C:\Program Files (x86)\mirkes.de\Tiny Hexer\mpth.exe"
compact /u /a /s /exe "C:\Program Files (x86)\*"
Despite the steady increase in media capacity, the problem with a free space is still relevant. Most often the problem arises if you are using SSD drives, where the GB cost is quite high. By using LZX compression in Windows 10 you can save your disk space, but there is a small loss of performance over here. So, try it out. The surprise return of disk compression seems like an admission by Microsoft that Windows is bloated. The problem of large binary sizes and redundant copies of them in the SxS and Installer directories (primarily), and verbose XML files, would be better addressed at the source without throwing raw CPU power at it. Its disappointing that they didn’t fully integrate it into the NT compression. Theres really no good reason not to have it recompress a file that’s already compressed. I strongly recommend avoiding LZX and using xpress16k instead. The xpress algorithms do not require a full read of the file before performing operations, but can be done on the fly. Thus, if you have a 1 GB file and you move it to another drive (say), with LZX your OS will sit at 0 until the whole thing is decompressed, and then it will eventually begin to start copying after sitting around for 30 seconds. If you use xpress4k, xpress8k or xpress16k, the file will begin copying immediately. And the compression improvement from xpress16k to lzx is always like 1.8 to 1.9, for example, it is not worth the overhead especially for large files.